The ideals of beauty changes with time, but the urge to stay healthy never change. With technology advancing day by day, people are leading a sedentary lifestyle with unhealthy habits and as a result they’re facing overweight problems. Leave aside the beauty; it is a nightmare handling those extra pounds attached to our body. Unfortunately, these extreme weight loss methods are not meant for those who’re afraid of needles. There are different types of weight loss injections that promise to burn your fat effectively. But, before opting for such extreme methods, you should answer these questions first. 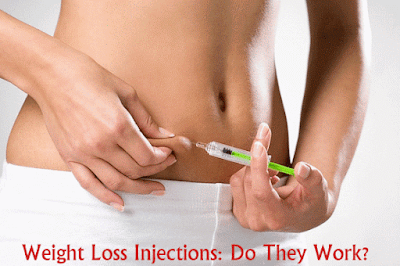 Why are you opting for injections to lose weight? Have you tried all the natural methods like diet and exercise to shed weight? Are you confident of taking the pain of going through such extreme procedures? P.S: If you wanted to lose weight naturally? Then do try the 7 days GM diet or follow the low cal high protein diet routine. Before getting into the details, you should first know that wrong injection can be extremely harmful. So, it is advised to get the information from your local doctor before deciding on the injection for weight loss. Vitamin B12 is said to increase the metabolism and thus force the fat cells to release more energy to our body. In addition to this, you’ll also see a reduction in the adipose tissues as well. When you’ve taken a regulated dosage of B12 injection, your body can easily burn fat. However, there are some doctors who dispute with the effects of this B12 injection for losing weight. Lipotropic injections are made from a combination of three chemicals, namely Methionine, Choline and Inositol. When taken in the right dose, these Lipotropics work as fat burners and help in shedding unwanted pounds easily. This particular vitamin injection for weight loss contains vitamins such as B1, B2, B3, B6, B12 and C along with Lidocaine and 3 Lipotropics. All these compounds are proven to aid in weight loss by burning excess fat stored in your body. In addition to that, your body will also receive vital nutrients so that it won’t starve. That said, people who’re allergic to Lidocaine are suggested to avoid this injection. Other than that, this Vitamin injection doesn’t have any particular allergen in it. Although these injections aid in weight reduction, you should check with your doctor for right dose. Failing in doing so may land you in troubles causing you several side effects. For rapid change in your weight, it is recommended to take the injections regularly for a prescribed period of time (by the doctor).